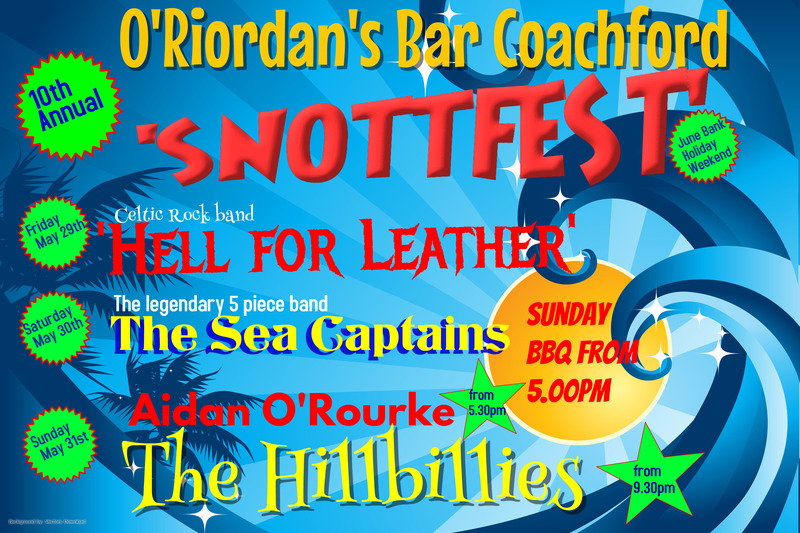 The tenth annual Snottfest music festival takes place this weekend in Coachford. 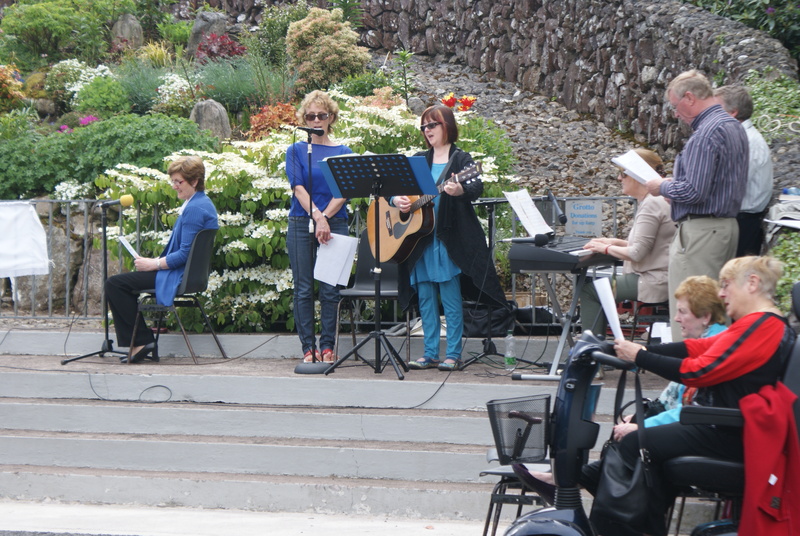 The music event hosted by O’Riordan’s Bar is always a tremendous spectacle of music and seen as the start of summer by many around the Lee Valley area. The weekend kicks off on Friday night when the Celtic rock band, ‘Hell for Leather’ pay their first ever visit to Coachford. This gig promises to kick off the festival with a bang. On Saturday night, the very popular and brilliant five piece band, ‘The Sea Captains’ will entertain the Lee valley crowds. Festival organiser, Pat O’Riordan says “This band are excellent and were a huge hit last month when they played for the Marymount Hospice fundraiser. If you missed them then don’t miss them now!”. On Sunday the festival will host two gigs and a monster family BBQ. The hot plates will be hopping with burgers, sausages and fried chicken from 5pm, while the diners will be entertained by the wonderful Aidan O’Rourke singing his unique covers of all the songs you know and love. Sunday night sees the return of ‘The Hillbillies’. This superb band brought the house down at last year’s event and are expected to do something similar at this year’s ‘Snottfest’. The festival of music and craic takes place all weekend in O’Riordan’s Bars Coachford . Congratulations to the Coachford Tidy Towns gang who received a brilliant result in the first round of the Cork County Litter challenge. The village received 95 points out of 100, losing 5 points due to two pieces of litter and 30 cigarette butts being found around the village. Chairperson of the group, Martha McCaffrey said, “This is a brilliant result for the village as it’s one of the largest in the competition having 3 pubs, 4 shops, 2 chippers, 2 schools, a pharmacy, a hairdressers, a GP surgery,2 play-schools, 2 hardware stores and a sports complex. Being sandwiched in between, Dripsey and Carrigadrohid, two of the cleanest villages in the county, certainly forces us to raise our game in the competition. 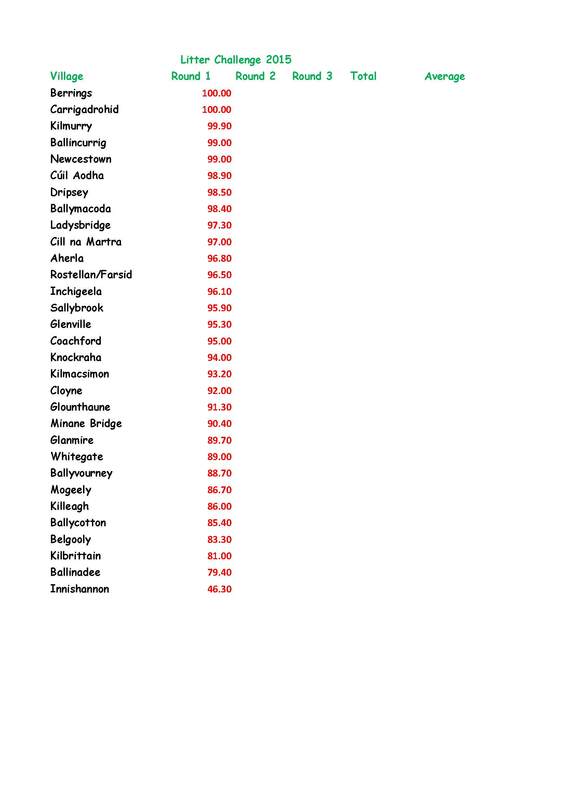 Our biggest litter problem continues to be cigarette butts and until we can change smokers habit of discarding these on the footpaths and roads as if it’s normal to do we will continue to lose marks.” Coachford lies 16th overall and 1st in the big village category. Keep up the good work. Aghabullogue Intermediate Hurlers begin their 2015 championship campaign on Saturday when they face up to last year’s quarter finalists, Grenagh in Ballyanley at 7pm. The hurlers have been preparing well and have beaten Argideen Rangers and Ballygarvan in the league in recent weeks but Saturday night will be a tough challenge for the boys in green. Congratulations to Rylane AFC who were promoted to the premier league from Division 1 on Saturday. 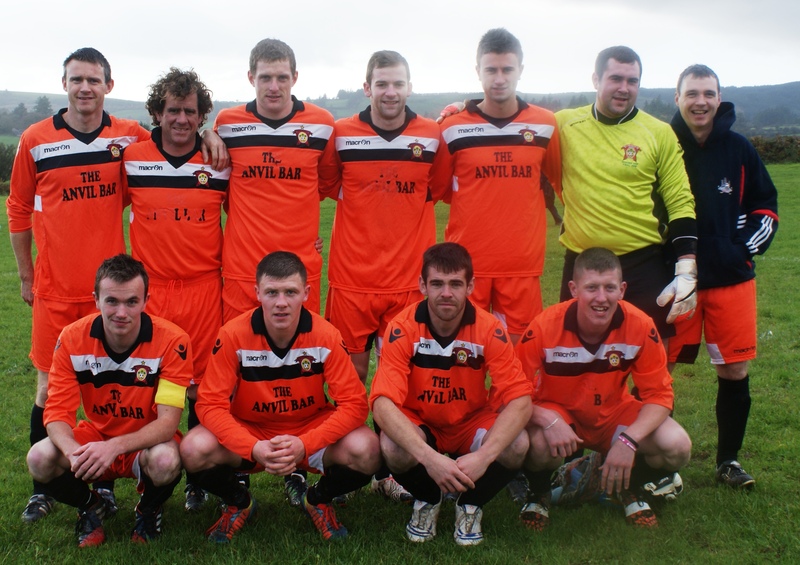 Rylane secured their place in the top league by defeating St. John Boscos from Cork city by two goals to nil. The promotion will help to ease the pain of losing the title race with Kanturk FC the previous week. Rylane AFC have become a very serious team over the last three years and have progressed quickly to the Premier division. Judging on last Saturday’s performance they will not be out of place in this very competitive league. The Coachford Autumn Festival have announced a new event to this year’s programme. 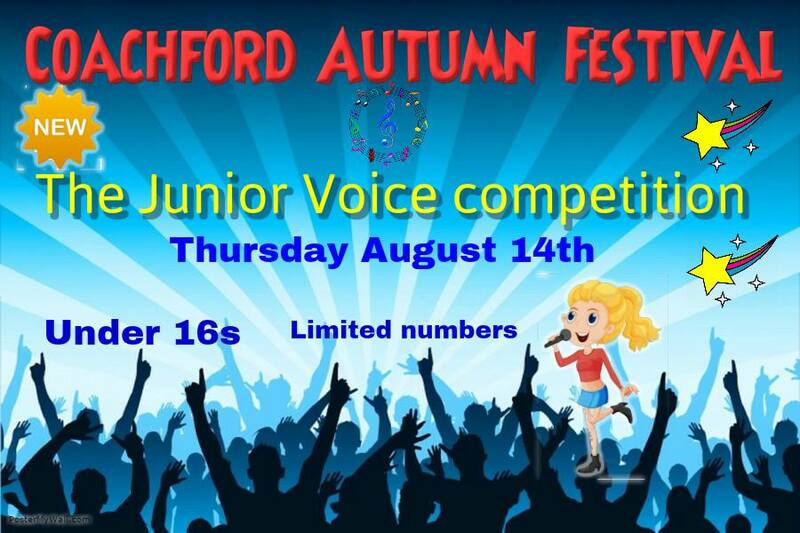 On Thursday August 13th the Junior Voice of the competition takes place in the GAA Hall Coachford. The competition is looking for the best under 16 singer in the Lee Valley region. Festival PRO, Kieran Doherty said “ last year’s Voice of the Festival was a huge success and we are looking forward to hosting it again this year on August 15th. Following the success of last year’s show we received a number of requests to host a Junior version of the event for under 16s and we decided to give it a shot. We expect a huge number of entries and we are looking forward to finding some excellent singers to entertain us on Thursday August 13th. The annual Corpus Christi procession will take place in Coachford on Sunday June 7th after mass at 11.30am. The procession is a wonderful spectacle and an opportunity for the whole parish to come together and mark the event by walking in the procession and praying at the very beautiful grotto in Coachford. The Coachford AFC fundraising draw takes place on Tuesday June 2 for 2 match tickets for the vital ‘Euro 2016’ qualifier game between the Republic Of Ireland and Scotland at the Aviva Stadium on Saturday June 13. The second prize is possibly even more appetising as the runner up will receive 2 tickets to the Ireland versus England ‘Friendly’ game also at the Aviva Stadium on Sunday June 7. Tickets are €5 each or 3 for €10 and can be bought from any club member or in most Pubs and shops in the village.. This entry was posted in Useful Numbers and tagged Aghabulllogue GAA, Coachford, Coachford AFC, Coachford Autumn Festival, Coachford Tidy Towns, Corpus Christi Procession, O'Riordans Bar, Snottfest. Bookmark the permalink.